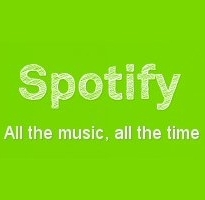 About three years ago, music streaming service Spotify launched to the public. They brought an incredible way to listen to music and they had a message: “we offer you a free and legal way to easily listen to your favourite songs; throw down your bit-torrent apps and come with us, our way is better and faster and morally sound.” To the pirates across Europe this message was both a revelation and a revolution. Here was a company with a unique service and a bold statement, a company that stood out from the crowd and genuinely offered something new for music fans. But now there are accusations of selling out and an unbelievable level of animosity. What’s to be made of it? After yesterday’s announcement from Spotify, the response from users of Spotify Free and Spotify Open was overwhelmingly unanimous: “Bye Bye Spotify” was the mantra, along with threats to move back to illegal methods like Grooveshark and TPB. This came as no surprise: when someone takes away your free toys you naturally get angry and lash out. What did come as a bit of a surprise though were the Premium subscribers who also felt let down by Spotify. Even though their level of service has not changed one jot, some paying users feel betrayed by the company who are now “just another music service.” To them, Spotify has capitulated and bent over for the record labels; they’ve lost their cool and in the process have thrown away the very ideals that brought them to where they are today. Personally I’m skeptical that a business with investors can honestly have “ideals” in the first place. The message of “everyone giving up on piracy” is certainly inspirational, but ultimately Spotify is there to make money. Their product just happens to be that glorious thing we call music. Spotify may be notoriously tight-lipped about their plans and reasoning, but they’ve always been open about the fact that they want to persuade users to subscribe to their premium service. Of course they do, they’re a business. A freemium model alone is just not sustainable. There are thousands of freemium users commenting furiously and vehemently on Spotify’s blog. But once the dust settles and the venting is over I’m sure at least some of these non-payers will decide that it’s finally worth taking the hit. They’ve grown used to the ease of listening and the quality and depth of Spotify’s catalog. If they now have to pay a few pounds a month for the Spotify service then so be it. If not, well they can follow through on their threats and take their chances elsewhere. One thing worth noting is that for many current freemium users the restrictions don’t come into force for up to six months. Any new user has a whole half year to enjoy the free music in the standard Spotify Open way. If they don’t subscribe after that then they probably never will. Whether it was due to American record label demands, spiralling royalty costs or to improve advertising, Spotify has re-positioned itself to ensure a maximum chance of continued success. I’ve been a paying subscriber since June 2009. It was the launch of the mobile version that finally pushed me over, after about six months on freemium. It’s true that I’m a little disappointed that they’ve had to water down some of their more revolutionary aspects, but for me and many others, Spotify remains the very best way to enjoy music.